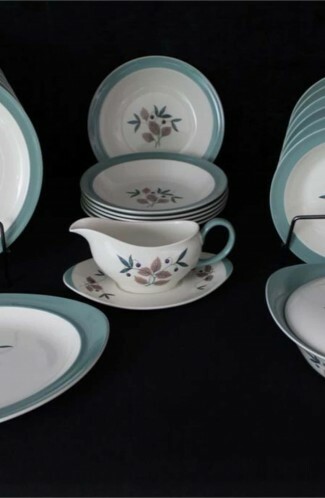 Absolutely gorgeous Contemporary Noritake Fine Bone China Dinnerware Service, having the simply beautiful "Blue Hill" Pattern #2482. Made in SRI Lanka between 1973 through 1996 only. 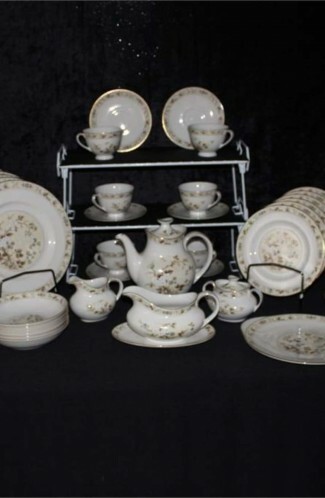 Offered as a Service for (10) Ten, with additional serving pieces totaling (72) Pieces in all. 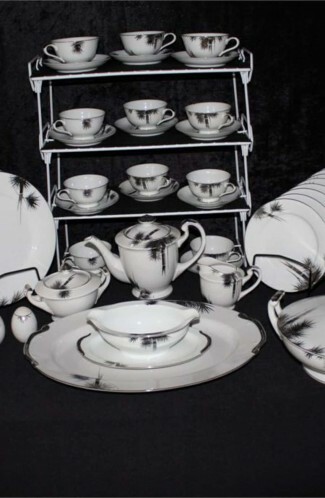 This is a very eloquent Dinnerware Set, having a Blue//Lavender Floral Band, and Flower edging on the Lip. Has a Platinum Verge, and Platinum Rim. Great Resale Condition. Purchased used, but shows as having been well cared for by the previous owner. Absolutely gorgeous Contemporary Noritake Fine Bone China Dinnerware, having the simply beautiful Blue Hill Pattern #2482. Made in SRI Lanka between 1973 through 1996 only. 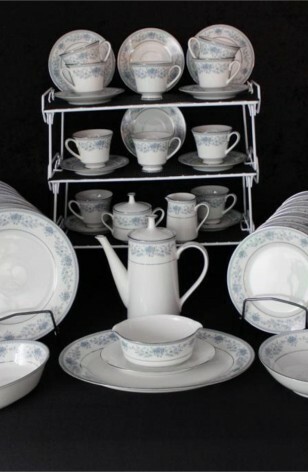 Offered as a Service for (10) Ten, with additional serving pieces totaling (72) Pieces in all. This is a very eloquent Dinnerware Set, having a Blue//Lavender Floral Band, and Flower edging on the Lip. Has a Platinum Verge, and Platinum Rim. Great Resale Condition. 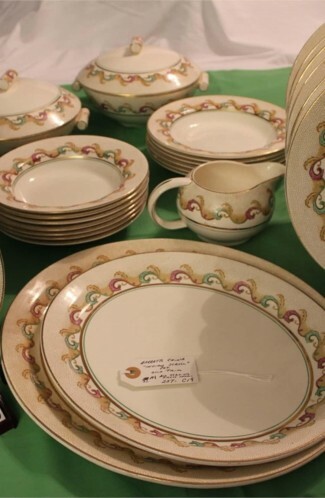 Purchased used, but shows as having been well cared for by the previous owner. .
10 - Saucers - 5 5/8"
10 - Bread & Butter Plates - 6 3/8"
10 - Salad Plates - 8 3/8"
11 - Dinner Plates - 10 1/2"
10 - Coupe Soup Bowls - 7 1/2"